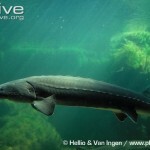 Germany’s fishermen are working with conservationists to help protect a rare species of fish in the Wadden Sea – the elusive and ancient Sturgeon. 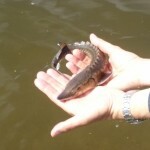 Sturgeon are fascinating fish, often growing to lengths of 7-12 feet, some to 18 feet. They only reach maturity at the age of 15 years and many live longer than 100 years. “Formal involvement of individual fishermen is an excellent opportunity for us to gather more information about the species’ range. More importantly, it raises fishermen’s awareness in conserving this fish. 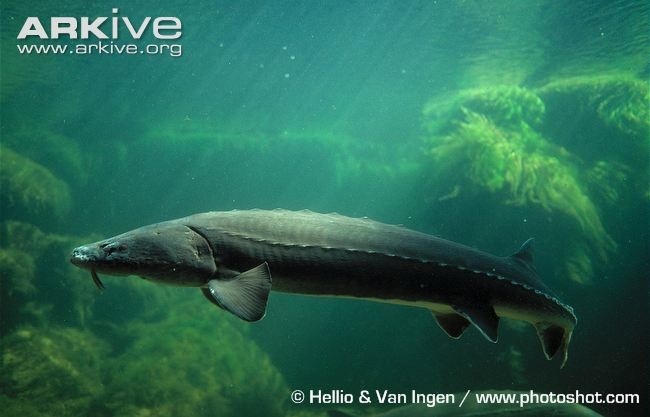 Sturgeon have existed for over 200 million years and are an important part of Europe’s biodiversity which we’re keen to re-establish during the next 25 years”. Today, Sturgeon are strictly protected and it is illegal for fishermen to be in possession of even dead specimens; they must be discarded at sea. 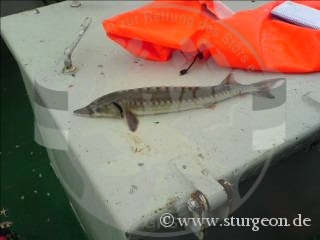 So within the GAP2 project, fishermen have committed to inspecting their bycatch for Sturgeon specimens to help assess the species’ population size as part of the Sturgeon Society’s release and recapture programme. 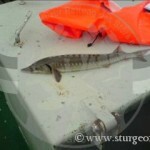 “We are already looking for rare species as part of our GAP2 work, so why not support the Sturgeon project? It’s interesting to find out about the unusual fish living in the sea we work on every day”. The collaboration between GAP2 and the Sturgeon Society began in October 2012, and will continue throughout the GAP2 project. 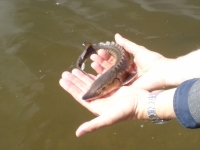 Earlier this year, the Society to Save the Sturgeon released 7500 juvenile fish into the Elbe and Rhine rivers and are now monitoring their rate of recapture. The recapture rate reveals information important to the species’ conservation, such as habitat preferences, migratory behaviour and the fish’s rate of growth. However, only 400 of the 7500 individuals released this year were mature enough to navigate their way through Germany’s estuaries and into the open ocean. As a result there was an extremely low recapture rate – indeed, only 5 individuals were found in the entire Wadden Sea. But with each passing year, greater numbers of fish grow old enough to reach the Wadden Sea. What’s more, with GAP2 fishermen now onboard and on the look out for these benthic feeding beasts amongst their bycatch, we hope we can help these rare bony fish continue their antediluvian lineage. This entry was posted in Case Study 3 - Wadden Sea Shrimp, GAP2 General, Homepage News, News, News, Xmas 2012 Newsletter and tagged collaboration, conservation, Wadden Sea, Wätjen. Bookmark the permalink. Steve Mackinson in New Zealand – what’s it all about?